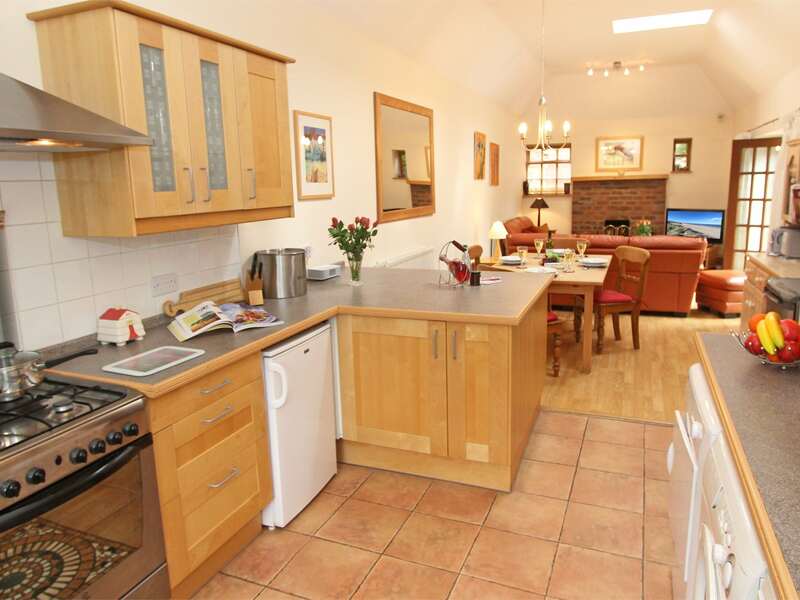 This beautiful cottage is ideally located in the peaceful village of Ulgham close to the stunning Northumberland beaches of Cresswell Druridge Bay Amble and Warkworth. 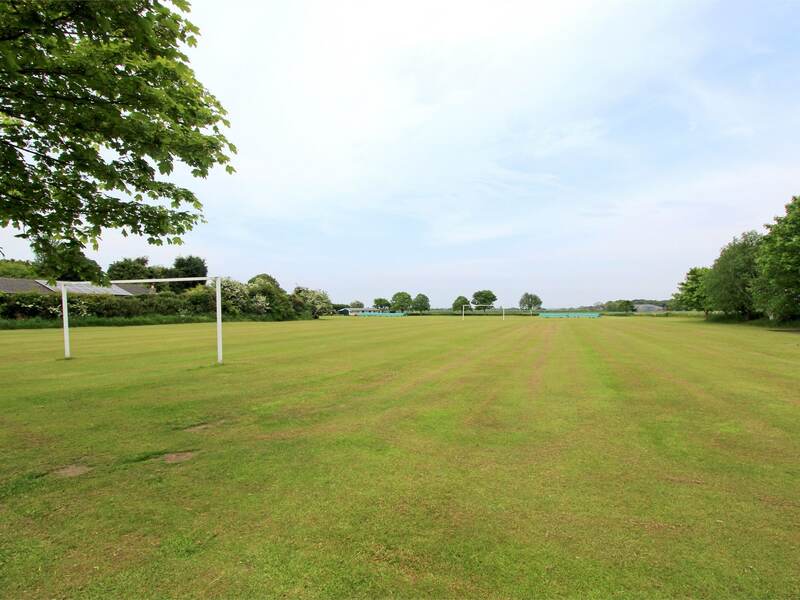 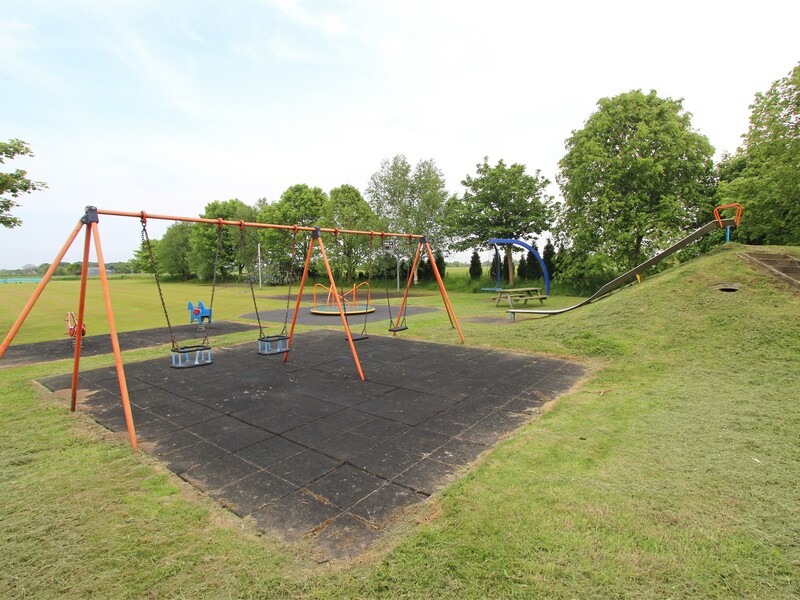 Ulgham features plenty of tranquil country lanes ideal for walking and cycling as well as a village pub and children s park. 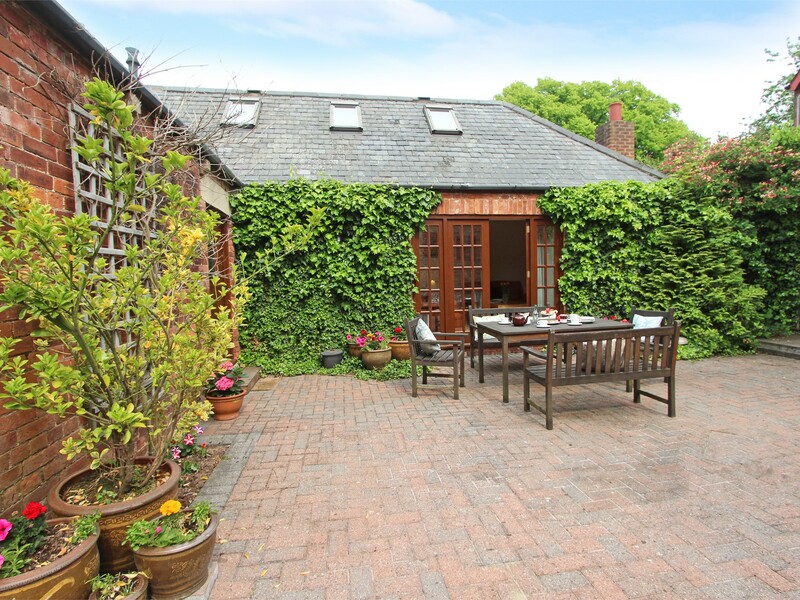 The popular market town of Morpeth with its range of food and fashion shops restaurants and pubs is only 10 minutes away. 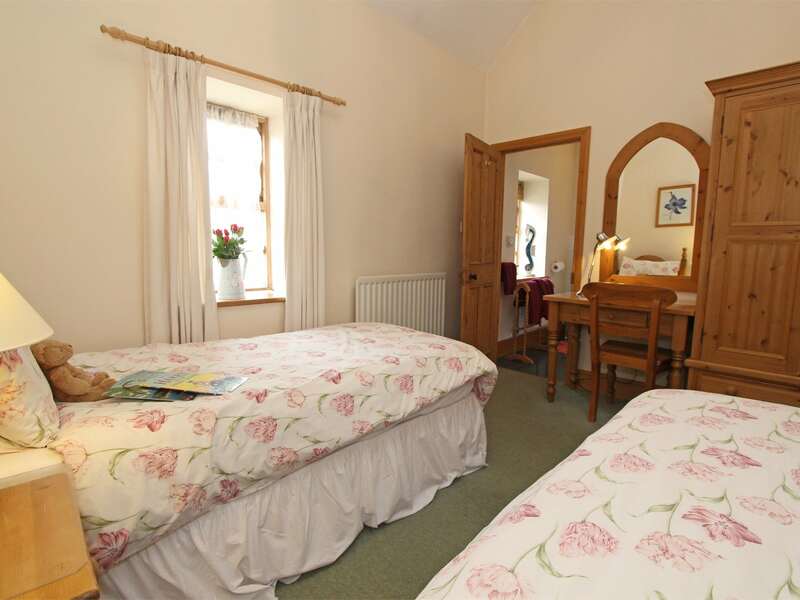 You can enjoy day trips out and about to explore the whole of Northumberland s many famous local attractions: the beaches Alnwick Castle the Alnwick Garden Bamburgh Castle the wide open spaces of the stunning surrounding countryside Cragside House the Northumberland National Park and Dark Skies and a host of friendly seaside villages. 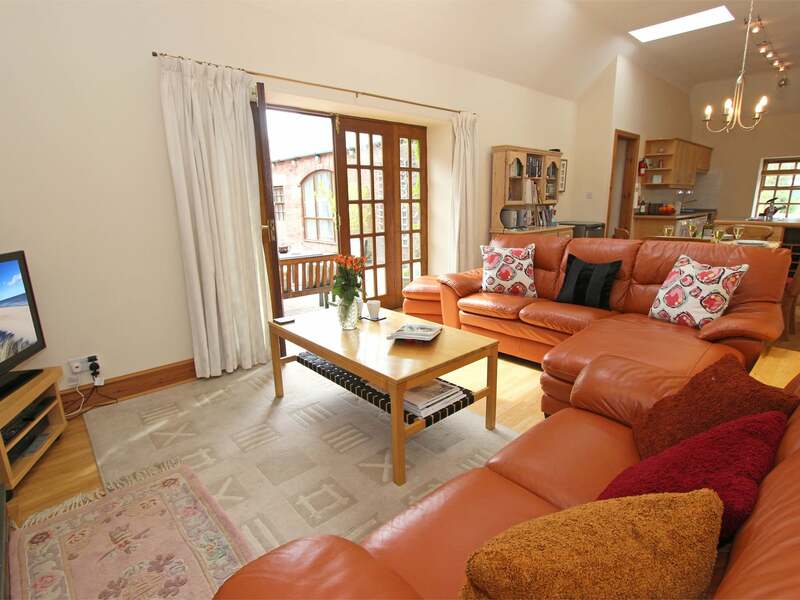 On entering this lovely single-level holiday cottage you will find yourself in the light and attractive open-plan lounge/kitchen/diner. 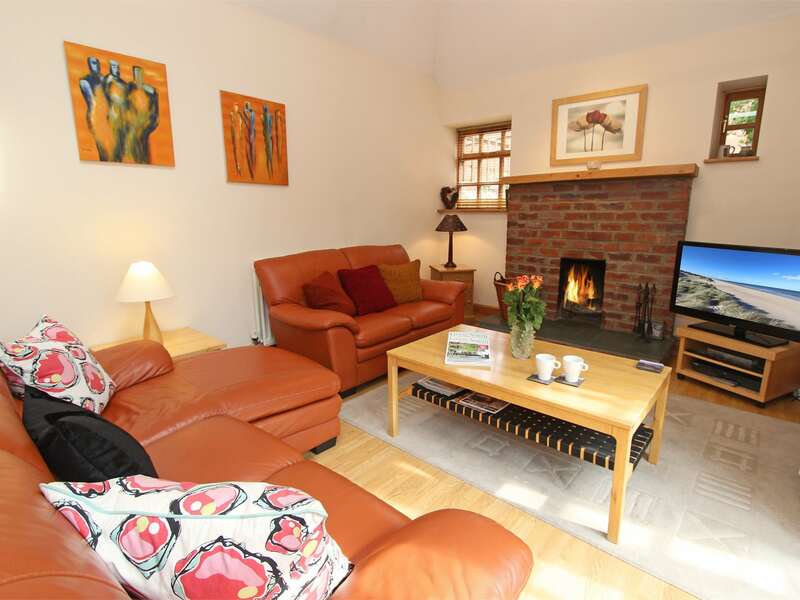 Tastefully furnished and with comfy seating TV DVD CD/radio iPod dock and with a stone fireplace with an open fire the welcoming and cosy lounge is an ideal space to relax in. 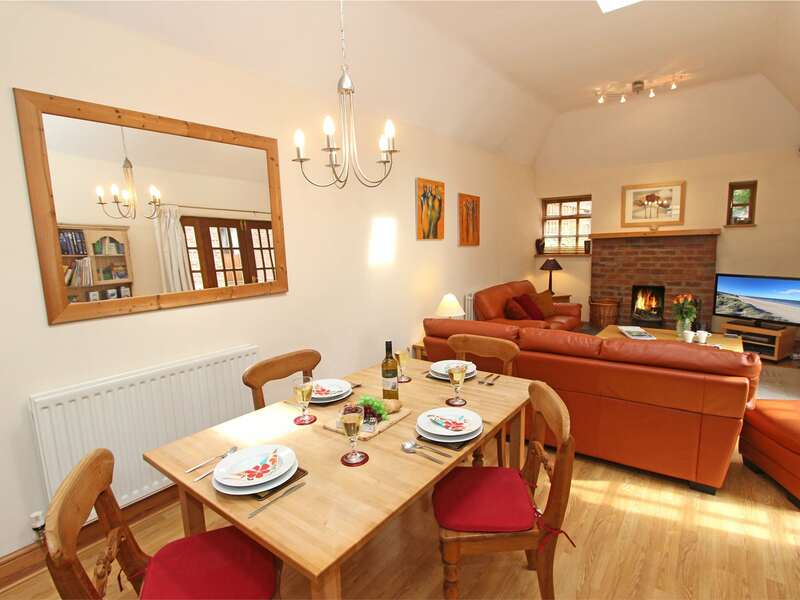 You will also find a charming dining area with seating for 4 guests. 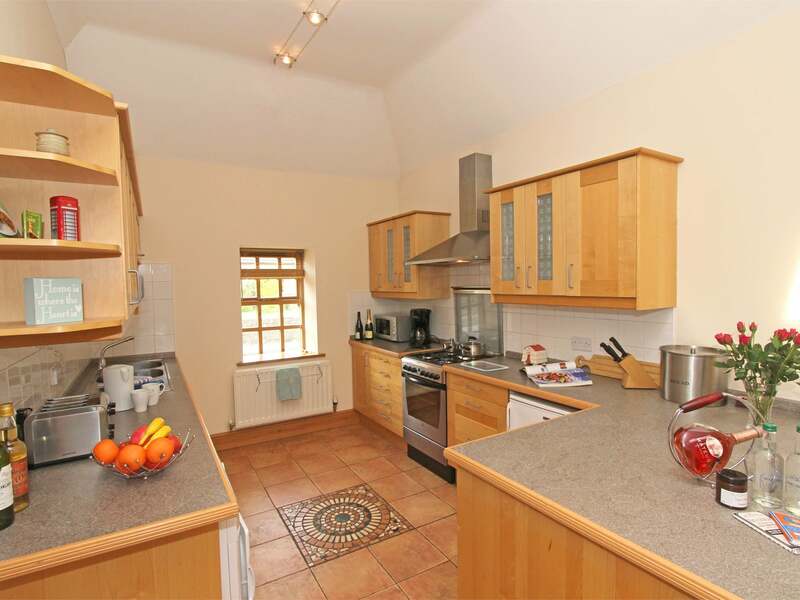 Heading over to the stylishly designed kitchen you will find it fully equipped with a gas hob and electric oven microwave under counter fridge and separate freezer dishwasher toaster washing machine tumble dryer and cafetiere. 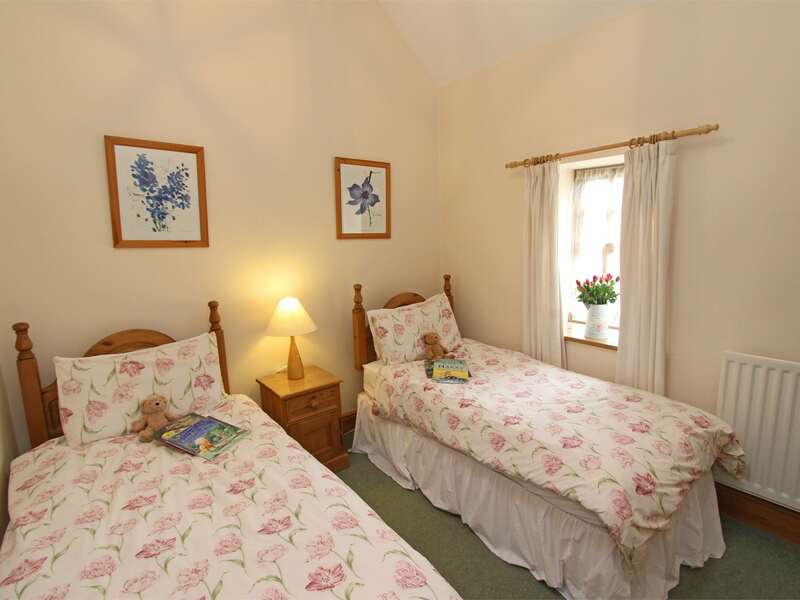 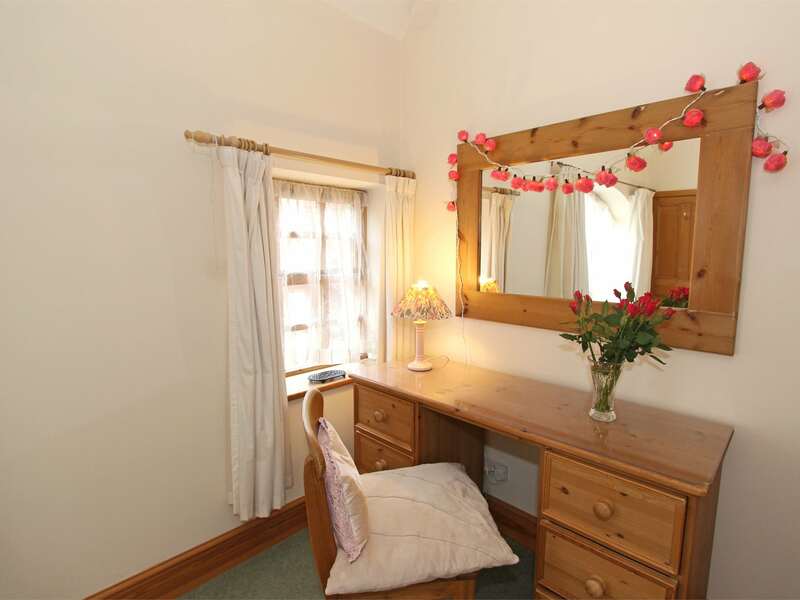 Exploring this delightful property further you will find two comfortable bedrooms. 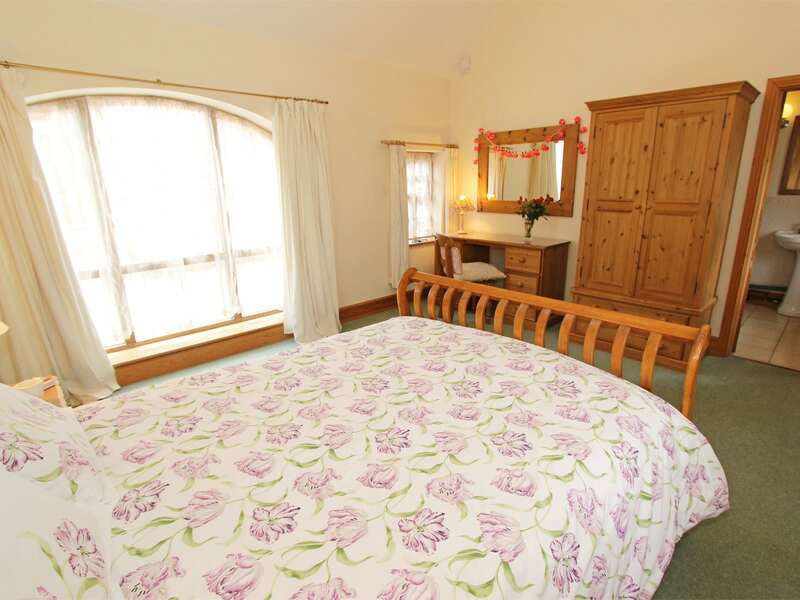 There s a master bedroom with a king-size bed and a twin room which can be made up into a super-king-size double on request. 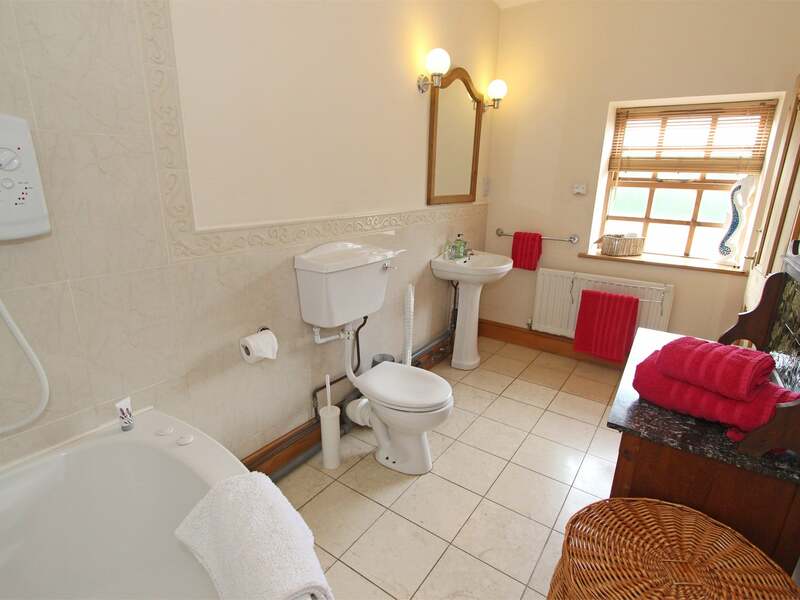 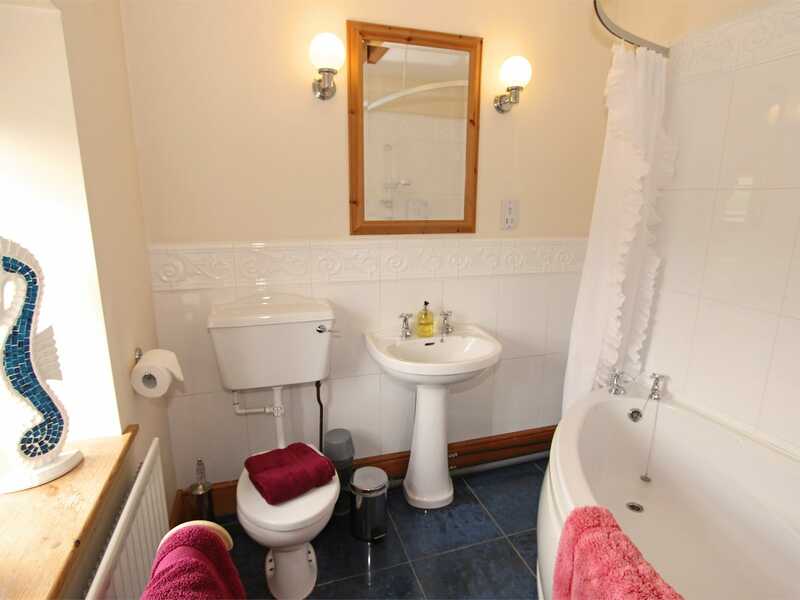 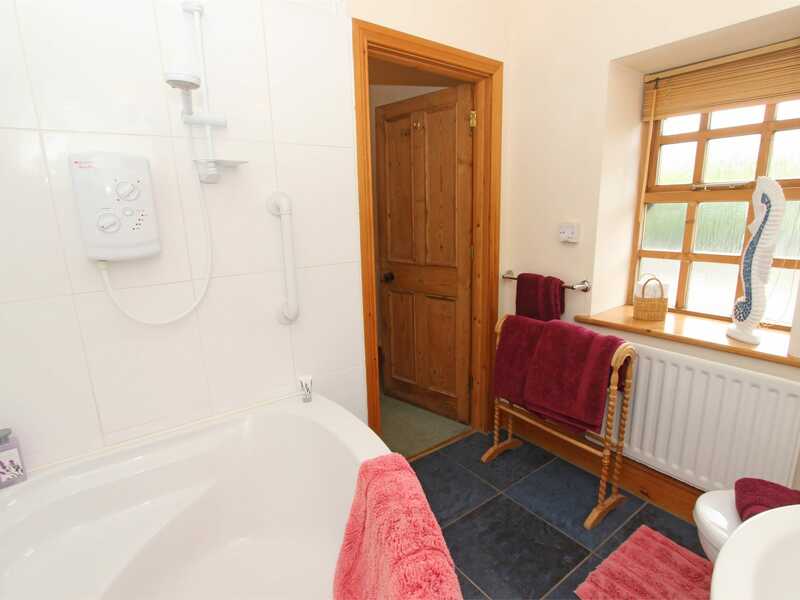 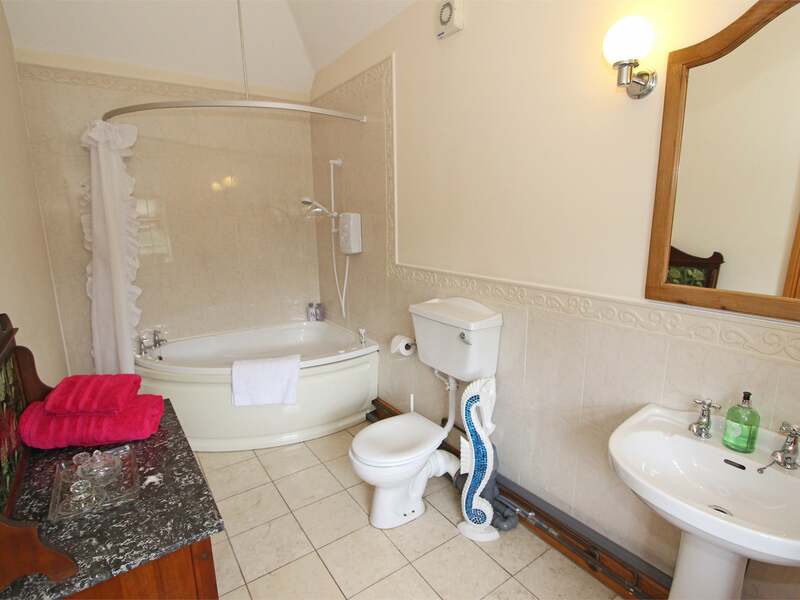 Each bedroom has an en-suite bathroom with a shower over the corner bath and a WC. 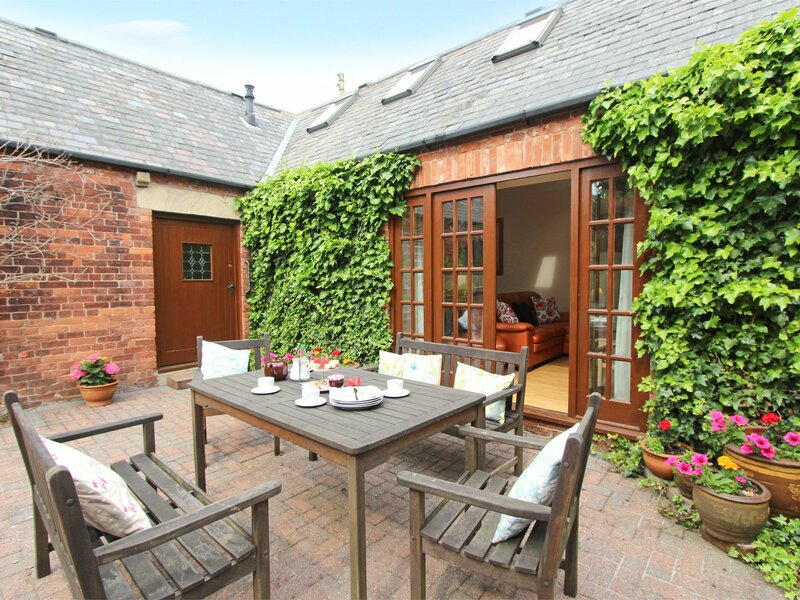 Stepping outside you can unwind and dine alfresco in the charming courtyard with outdoor furniture. 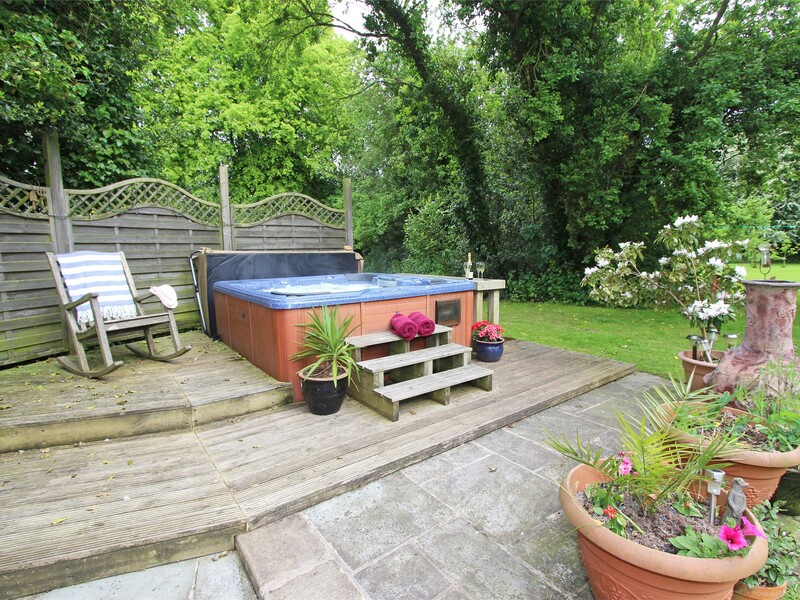 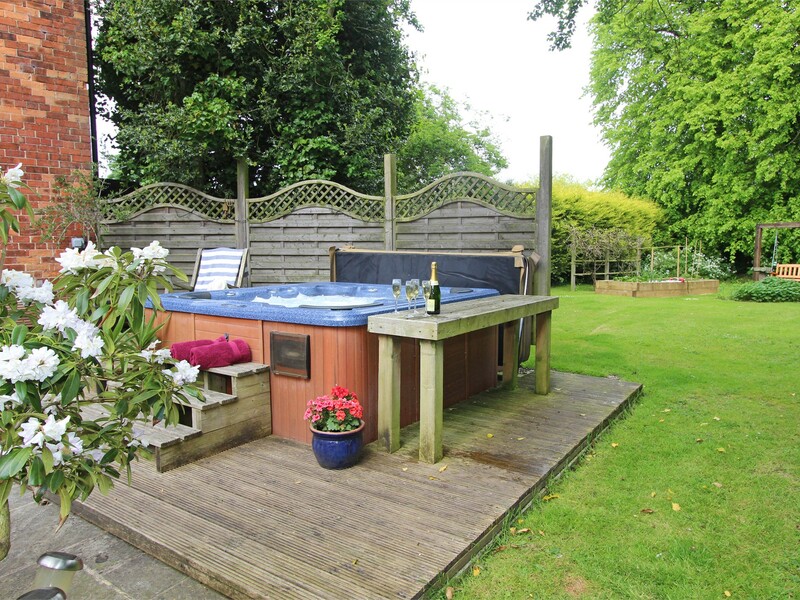 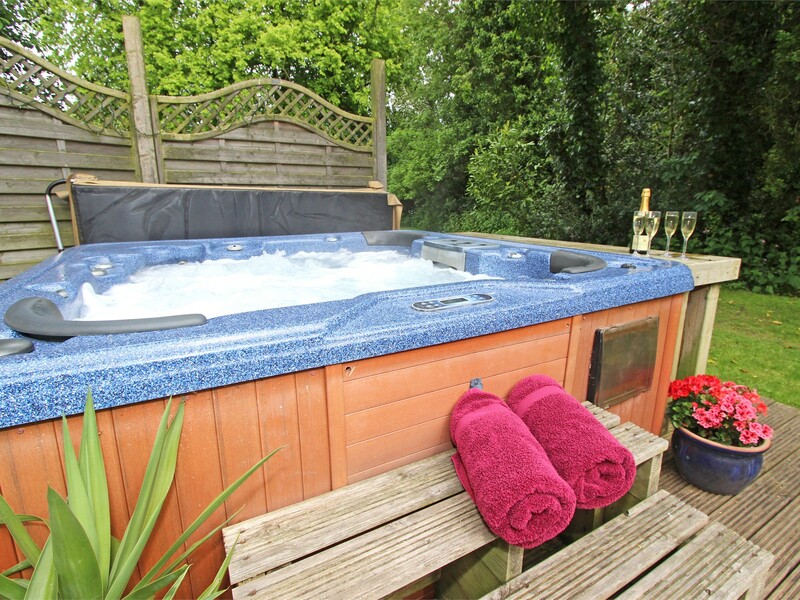 There are large mature and attractive gardens to the rear of the property and you can also relax in the 4 person outdoor hot tub. 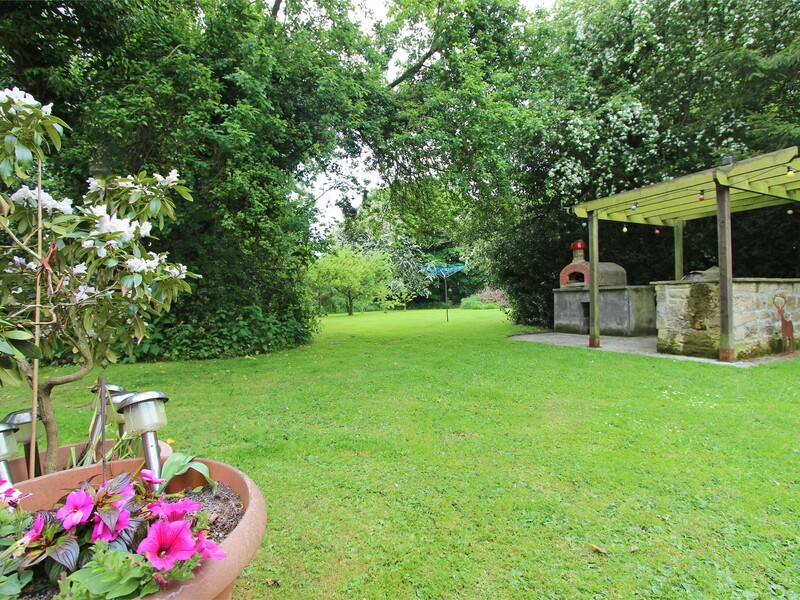 There is ample parking available for two cars on the driveway.